Disqus offers the best add-on tools for site owners to power discussions, increase engagement, and earn revenue. 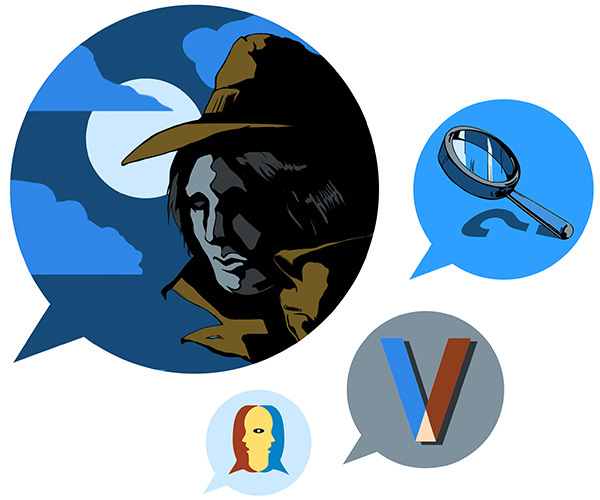 This week, we turn our spotlight on Inconspicuous Detective, a frequent commenter on Listverse. His favorite site covers a wide range of topics (from gun control to Voodoo to the artist Banksy), and you’ll notice that Inconspicuous Detective’s thoughts and opinions are just as varied. He takes inspiration from an unlikely source: detectives. Inconspicuous Detective lauds them for not just their knowledge, but their wisdom. He draws particularly from two characters that make a rather odd couple. Read on to find out who they are, and don’t forget to share where you draw your inspiration from! Q: What are your favorite sites to visit and why? A: My favorite site (which I visit at least three - four times daily) would have to be Listverse. It is an excellent site based on top ten lists which cover a variety of topics. Recently, they’ve created a sister site which I also visit daily, albeit not as often, called Knowledgenuts. Q: What types of stories lead to good discussions? A: This one depends on what you’d consider a “good” discussion, though I’d have to say anything regarding history, military, or religion has brought out the best of the best in terms of discussion, debate, and knowledge that can be shared around. Q: How do you know you’ve captured your thought well? A: This is a tough question. Generally, when I comment in response to someone I try to imagine how the discussion would go, and predict what they would say in response. If they respond along those lines, I’d say I’ve captured it well. The same applies to when I comment in general. If I have something to say, I say it, and if it was how I intended it to be, I’ll receive responses to it that I expected to get. Q: Why did you choose the screen name or avatar you did? A: I chose my name and avatar because of two fictional detectives, L from the anime Death Note, and Sherlock Holmes from Sir Arthur Conan Doyle’s short stories/novels. Both characters possess a certain wisdom, rather than just knowledge, that I not only wish to capture one day myself, but that I can respect. Q: What kind of feedback or reaction are you looking for when you comment? A: Mostly discussion or debate, and any tone is fine with me so long as I learn something. I have been proven wrong before (though I won’t often admit it or realize it until well after the topic is dead) and I really enjoy talking to some of the people you find around. It’s nice to be able to have good discussion with people you may otherwise have never met before.